The buckle has an antique silver finish with a gold trim and is made from tough zinc alloy. 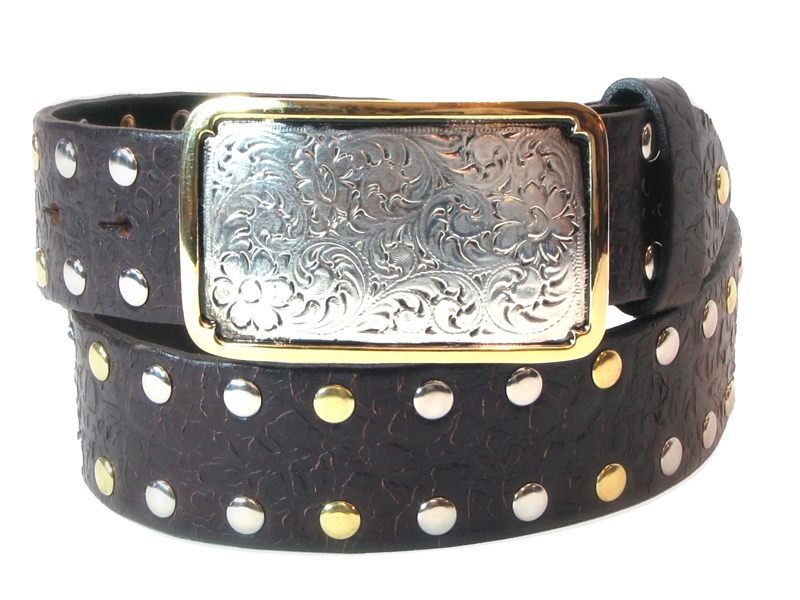 The leather has been textured and has silver and gold rivets around the border, continuing the finish of the buckle. A belt loop is optional for this belt.